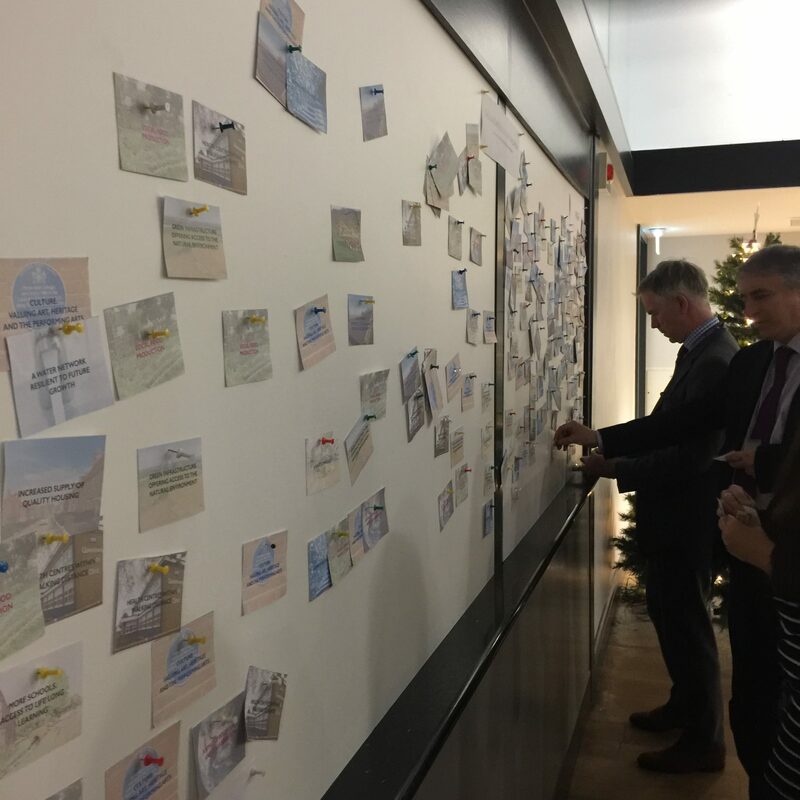 On 23rd November last year, Gascoyne Cecil Estates and the Hertfordshire Chamber of Commerce hosted a further Infrastructure Charrette. 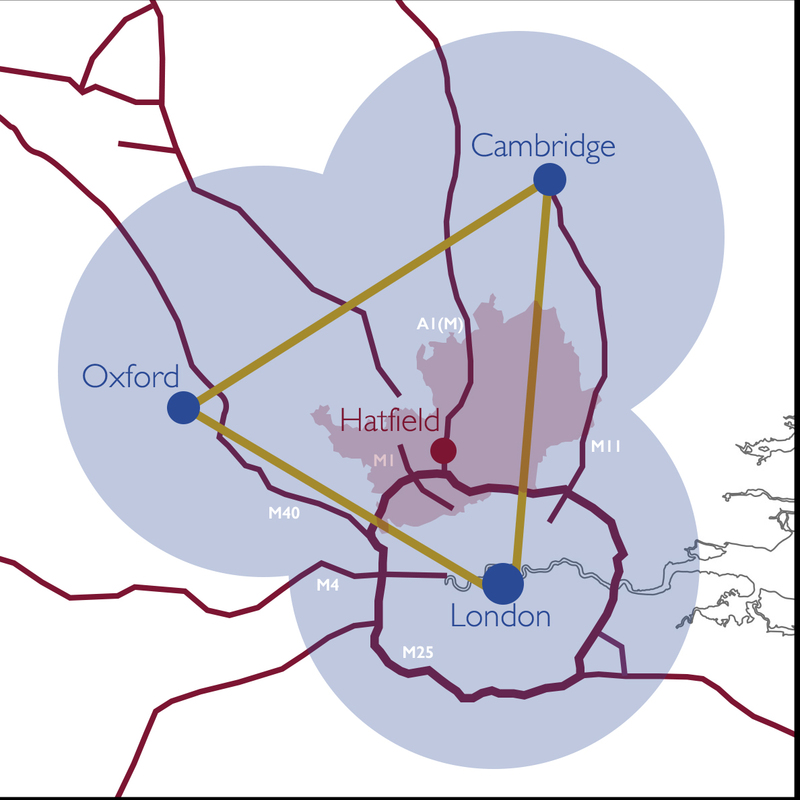 This followed on from the inaugural event during the summer of 2017, once again bringing public and private sectors together to explore infrastructural concerns and aspirations across Hertfordshire. Local Plans are progressing across the districts and boroughs of the county. By 2030, it is likely these will be coming to fruition, and over one hundred thousand new homes will have been built across Hertfordshire. 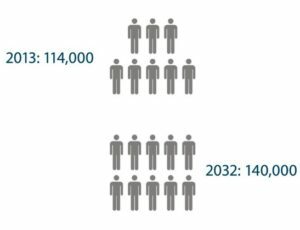 Growth will come from elsewhere as well, as the population of London rises to surpass 10 million in the same timespan. 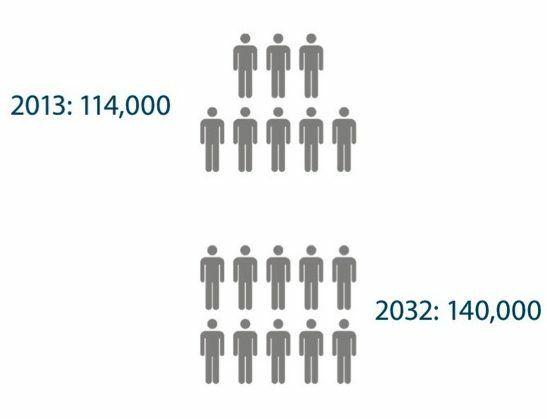 By 2030, we will have seen our county change around us. 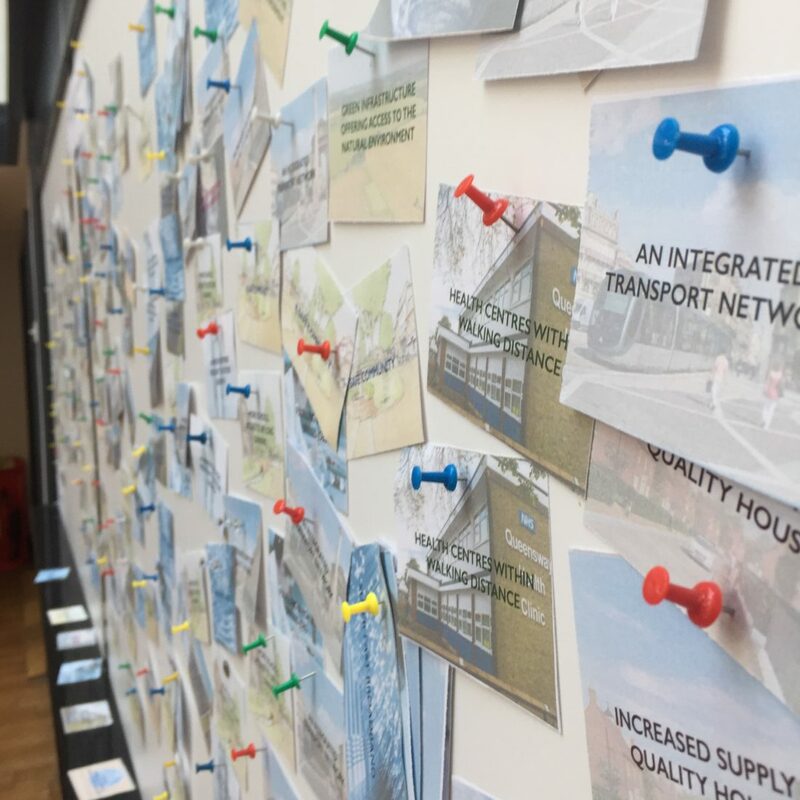 The object of these Infrastructure Charrettes has been to consider how Hertfordshire might respond to, affect, and drive such change. 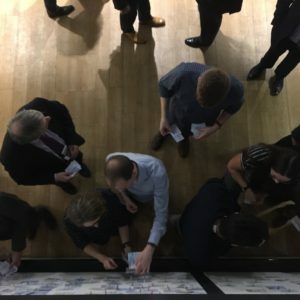 The Charrette outlined aspects of infrastructure we have termed the Building Blocks of Civilisation, and the event opened asking participants to rank these in order of importance. Each table had a pack of cards, each card contained a building block – from ‘super fast broadband’ and ‘a resilient water network’ to ‘culture, heritage’, ‘an integrated transport network’ and ‘fulfilling and highly skilled jobs’. A wall was set up in which each group could pin these building blocks in the order in which they found them the most important. Although evidently an unscientific process and predominantly a useful icebreaker, this first demonstrated the great difficulties government faces in prioritising one vital focus over another, and second it endorsed the suggestion that people across the county consider transport and jobs to be paramount: an integrated public transport network, and fulfilling and highly skilled jobs predominated in importance for most participants. 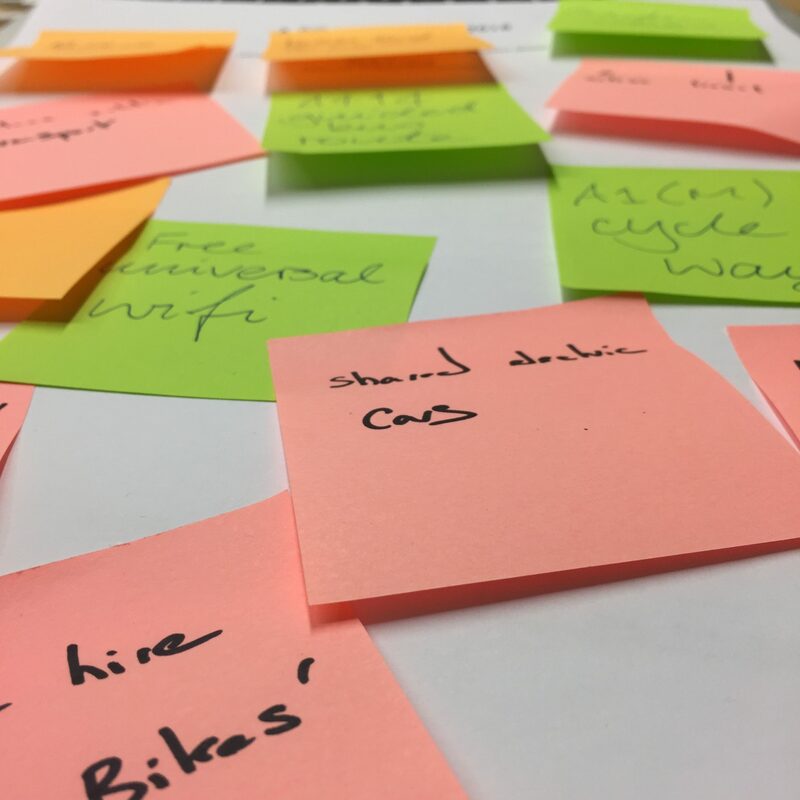 Later in the workshop, participants were asked to explore their own motivations for attending the event, and for being involved with infrastructure across Hertfordshire. This was a useful process, and demonstrated that we all live and work as part of a larger ecosystem. Business owners were aware that well-designed and efficient infrastructure is vital to maintain their capacity to attract quality employees, or simply customers. Local authorities meanwhile are mindful of the need to facilitate this and ensure the continuing resources (from tax receipts to the buy-in of constituents) they need to maintain the kind of environment in which we all want to live. 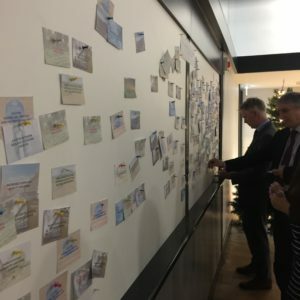 At the close of the session each participant was asked to outline their priorities for infrastructure across Hertfordshire in the years ahead. 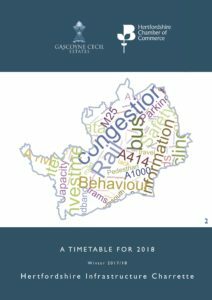 Gascoyne Cecil and the Hertfordshire Chamber have collated these and drawn up a series of events to run throughout 2018. 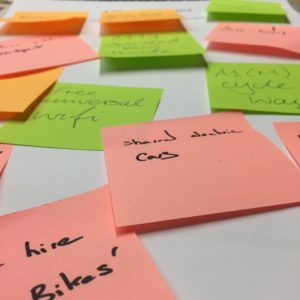 It remains the hope that, over time, this forum can make a valuable contribution to how Hertfordshire identifies and delivers the infrastructure it needs to meet the challenges of the twenty-first century with care, and with success. We have put together a short paper outlining output from the Charrette, which can be read below. We hope this is of interest, and will be happy to receive further feedback.